Backed by more than a century in the replacement window industry, we at Renewal by Andersen of Southeastern Mass and Rhode Island proudly stand as innovators and expert craftsmen. That joy we see on our customers faces upon installing new windows and doors in their home is all we need to keep driving our company. Listed below are photos of what we believe most accurately represents our capabilities and superiority over competitors. Browse through to find inspiration for your home. 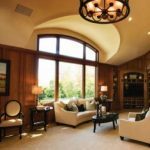 Colorado homes deserve windows that are crafted specifically for each situation to exacting specifications. Renewal by Andersen is your best source for the best replacement windows.